The SJC House on the shore of Lake Chapala in San Juan Cosala, Jalisco, Mexico is a weekend house designed by Ricardo Agraz. 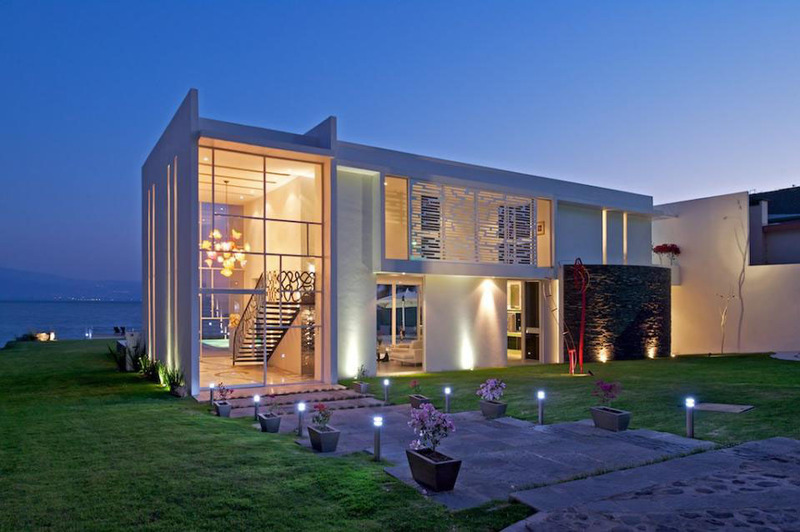 This modern home maximizes the view of the largest Mexian natural lake. The front garden of the home serves as frontier between the house and the road. The living and dinning rooms connect to the outdoor terrace allowing the indoor space, the swimming pool, and the natural sceneries to come together.